Basic $7 Per person, per month. Billed annually. Get what you need to begin a weekly check-in rhythm. Plus $14 Per person, per month. Billed annually. Everything in Basic plus maximum flexibility in terms of questions, 1-on1s, reports, and Objectives (OKRs). We'll tailor the right solution for your organization with custom services & integrations, such as BambooHR, SCIM, & SSO. 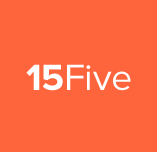 Pricing information for 15Five Continuous Performance Management is supplied by the software provider or retrieved from publicly accessible pricing materials. Final cost negotiations to purchase 15Five Continuous Performance Management must be conducted with the vendor.